If a wide variety of meat is what you crave, this is your Mecca. 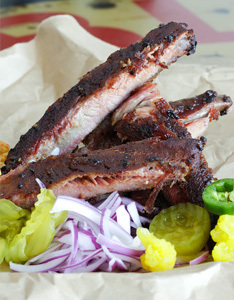 Brisket, shoulder clod, dry-rubbed and slightly sweet spare ribs, and Kreuz Original sausage are always available. Pay attention to rotating specials. Great sides and desserts.